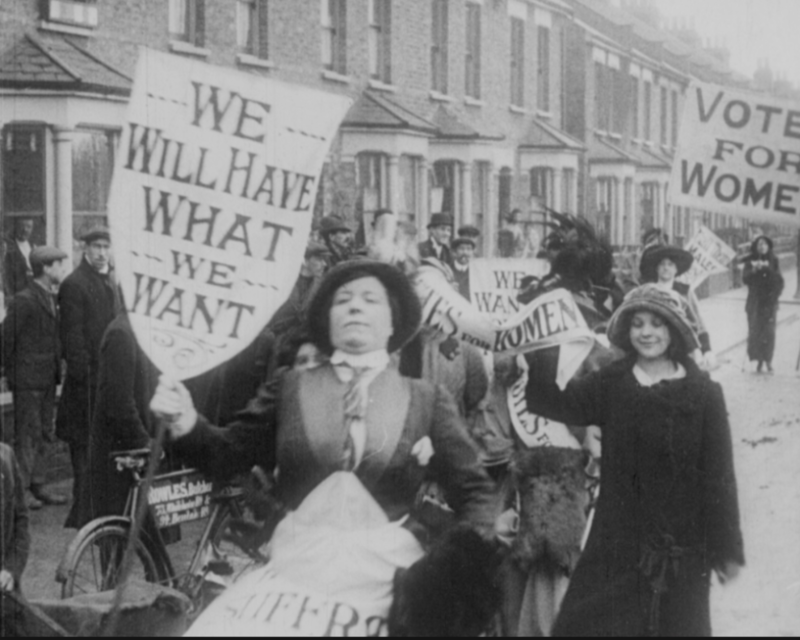 One hundred years ago, in 1918, women (over 30) in the UK were given the right to vote after decades of protests by the "Suffragettes." (The US gave voting rights - to white women only - a couple of decades earlier, but it was a state by state decision.) Activists fighting for the vote went on hunger strikes, were disowned by their families and endured acts of violence. You guys, this was only 100 years ago! That means your great grandma's contemporaries were raising hell against the injustices by their governing systems. I am beyond inspired by these women (along with all the countless other women rebels of our past and present), which is why, when London's magnificent department store, Liberty, presented us with a chance to honor the 100th anniversary of the Suffragettes, we were giddy. Get this, in the early 1900s, Suffragettes would often gather in Liberty's paneled wooden halls and café plotting their campaigns, seizing the rare opportunity to be left unchaperoned - a freedom granted only during visits to department stores. Liberty welcomed these courageous women, selling soaps, sashes and pins to support their mission. How cool!? So, last week, we jumped across the pond to celebrate and honor these women who boldly marched before us in the best way we could think of - by hand stitching an exclusive line of "mothers, daughters, rebels" sweaters. And then we had a tea party in a secret meeting room at the store (when in Britain right? ), and plotted our own campaigns to take over the world, or at the very least continue the fight for equal representation. Today, 50% of Liberty's leaders are women, and we are honored to have our collection on the floors of the iconic and historic store. Click for more photos from our tea party (left), and to shop the rest of our Liberty collection on their brand new website (right).